The Chicken and Egg Problem of Peer-to-Peer Marketplaces: Who to Attract First? Every peer-to-peer marketplace struggles with user acquisition. What makes it even worse is the chicken and egg problem: should you attract buyers or sellers first? The issue is that a marketplace needs to have both customers and providers of goods or services, but one won’t come without the other. So how can you find a way out of this vicious cycle? 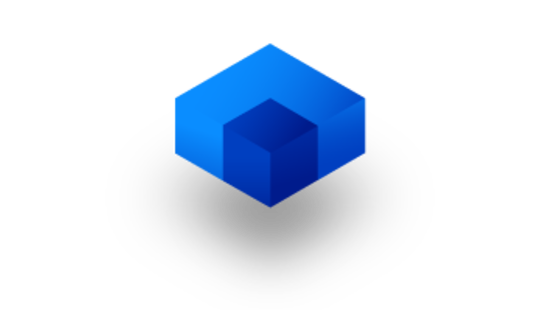 In this article, we'll consider several options for launching a marketplace: getting sellers first, getting buyers first, attracting both sides simultaneously, or acting as a producer yourself. Getting sellers in your marketplace first seems like the safest choice. 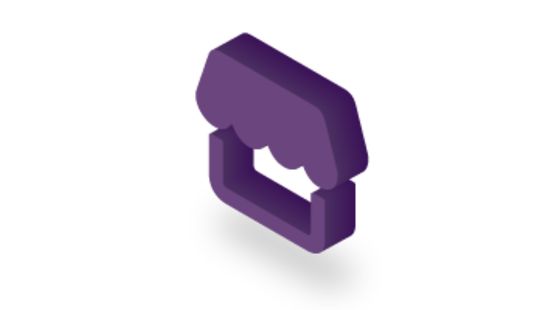 You can advertise your marketplace to sellers by promising a future influx of customers once a base of sellers is established. It's not necessary to pay sellers from the start before they get actual orders, but it can be helpful if you have the resources on hand – this might increase your chances of getting your critical first sellers. 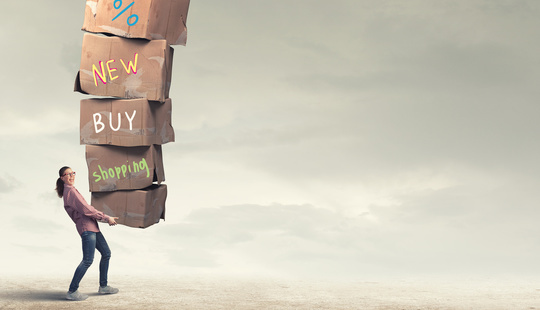 Getting sellers first is convenient because if customers are introduced to a marketplace and it’s completely lacking products and services, they'll leave. Unlike customers, who want goods and services immediately, sellers can wait and won’t lose anything in case of a temporary lull. Still, how do you get sellers to enter a market that has no consumers? Let’s review the most effective strategies. Provide an economic incentive. This is quite risky, but if you’re confident that there’s a substantial untapped market and you can attract customers once you have the service providers – and if you have the financial resources – then this is the way to go. For example, when Uber first launched it sought out drivers and promised them a fixed minimum wage even if they didn’t transport any passengers. Drivers could sign up and still work their usual jobs while waiting for the service to pick up and receiving their small, but still valuable, paycheck. This strategy worked out for Uber, as it’s now one of the largest global transportation companies. Intrinsic value strategy. One way that you can establish a functional marketplace is to find a product that doesn’t need both customers and producers in order to offer value. In other words, figure out a certain value that your product can offer to one of the players in the marketplace independently, regardless of whether the other side is involved. Take the booking service OpenTable, for instance. They started gathering a database by allowing restaurants and cafes to register with the service, which at first looked like a simple search platform for local eateries. Once there were enough registered businesses, OpenTable started to attract customers by letting them search for places to eat as well as book tables in advance online. Depending on what type of marketplace you’re building, sometimes it makes more sense to build a user base and then move on to finding suppliers. Let’s look at two sure ways you can get buyers first and consider in which cases you should start with building your client base. We’ve already discussed how the intrinsic value strategy can help you get sellers to your marketplace first, but this strategy actually works both ways, and can be just as effective at attracting customers first. Take the Facebook Marketplace, for example, which is used by both merchants as well as customers. The idea behind the Facebook Marketplace is that sellers can list their products, which are either filtered by fixed categories such as cars, clothes, and furniture or presented as separate lists advertised by Facebook itself on an official page – for example, used toys for Christmas presents. Buyers, on the other hand, can wait for an item they want or post a request on the Facebook Marketplace Community page to give sellers an idea of what’s in demand. Incentivize potential customers. Similarly to providing an economic incentive to your service providers, you can offer users some money for signing up early. Obviously, this doesn’t mean that you should just give away cash for people’s emails. For instance, you can offer a discount on the first order or offer $15 off the first purchase of $30 or more and get the ball rolling with orders (surely, if the rest of your marketing strategy works well). 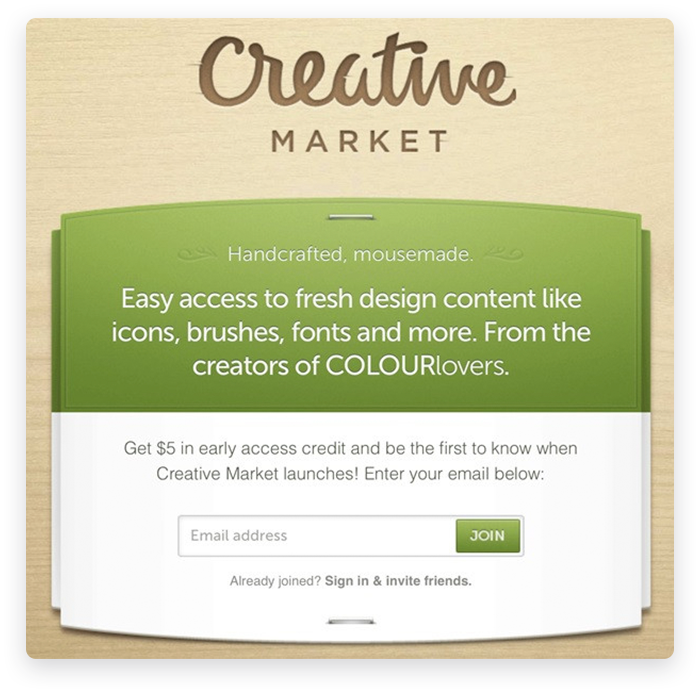 For example, when the design marketplace Creative Market launched, they offered $5 for every new user. They reported that this promotion guaranteed enough signups from the start and that they weren’t concerned with offering money since most people would spend more than $5 later on. This strategy paid off. The holy grail when launching a marketplace is having both sellers and buyers signing up with your service at the same time. Nothing seems more perfect than having suppliers ready to serve and customers waiting to place orders. Seems too good to be true? It’s not if you have the right concept and have a detailed plan of action. Let’s look at two approaches that can help you attract producers and customers simultaneously. When suppliers already have clients that they can bring along to the marketplace. When clients have producers that will follow them wherever they go. When you have points of influence that will make either buyers or sellers actively involve one another in the marketplace. Targeting buyers and sellers from the same community. When customers and suppliers have the same interests and provide similar goods and services, then they can take turns playing the roles of buyer and seller in the marketplace. Let’s take a look at Etsy, an ecommerce marketplace for vintage and handmade products. Etsy’s target audience is people interested in handmade crafts: they craft unique products themselves and enjoy purchasing handmade things as well. Thus, it makes sense to support fellow artisans by buying their goods and offering your own. This is exactly the idea of being participants in the same community. Buyers and sellers can take turns playing both roles and as a result keep your marketplace alive. Lastly, you can act as a seller yourself when first launching a marketplace. Or better yet, you can launch a marketplace with the sole agenda of selling your own products or services and then attract similar producers if your launch is successful. In this latter scenario, you have a certain number of customers, which will encourage service providers to join. For example, eBay’s founder Pierre Omidyar launched eBay with the intention of auctioning items he no longer needed. His stuff sold with such great success that other people wanted to put their items up for sale as well, and the rest is history. 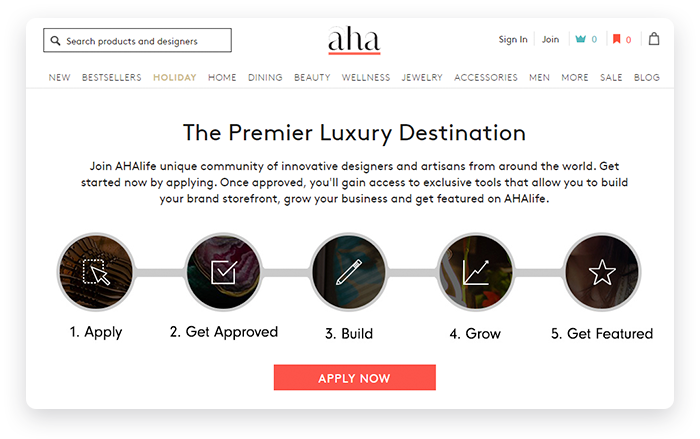 Another example is the luxury ecommerce marketplace AHAlife, which was started by Shauna Mei, whose father would bring her items from places he travelled and tell stories about them. Mei appreciated that each item had a backstory and wanted to share these unique items with the rest of the world on her website. The idea to present each product with information about how it was created and a biography of the designer attracted many creators, and now AHAlife features a broad community of designers that offer their one-of-a-kind items. As you can see, the decision of how to launch and start seeding your marketplace should be based on multiple factors, but especially on the type of marketplace you’re building. Carefully consider what kinds of goods or services your marketplace will provide. Once you have that figured out, we can help you realize your vision and bring your marketplace to life.